Beauty Magic Box: Explore beauty with Mary Kay and get unforgettable eyes! 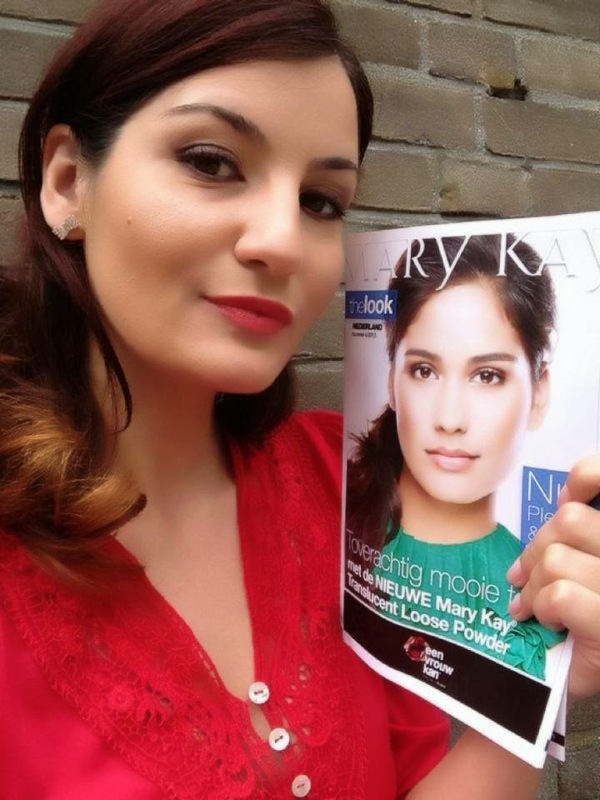 Explore beauty with Mary Kay and get unforgettable eyes! It's girl time! Sabine Maas, Star Beauty Consultant at Mary Kay in Holland sent me the most beautiful envelope I ever received full with amazing products, beautiful colorful eyeliners and a instant moisture lipstick. 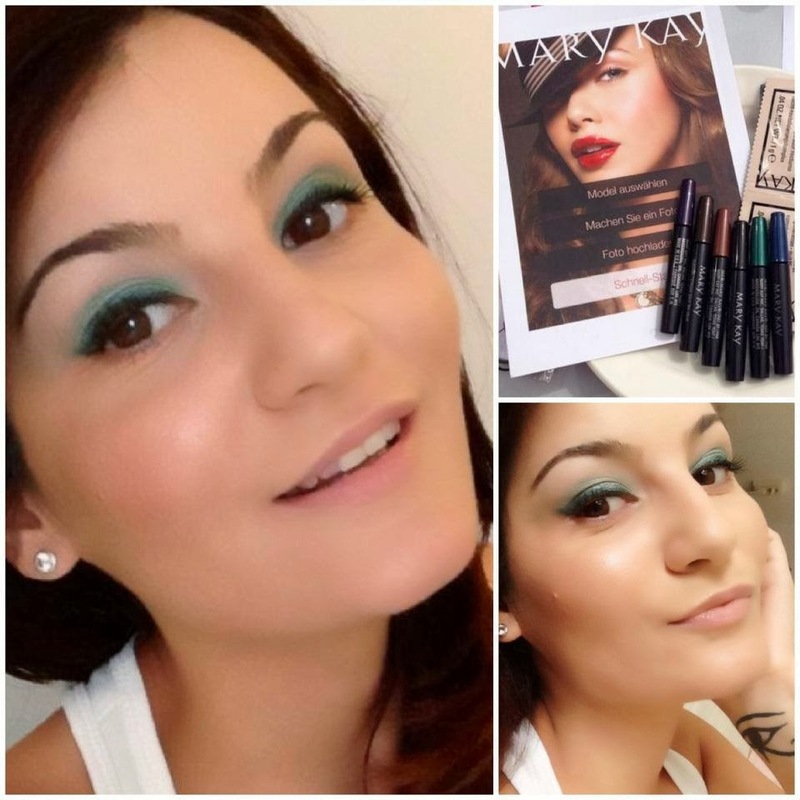 Welcome spring look!I'm wearing Rich Jade (green) eyeliner from Mary Kay! Perfect shade to intensify and enhance brown eyes! 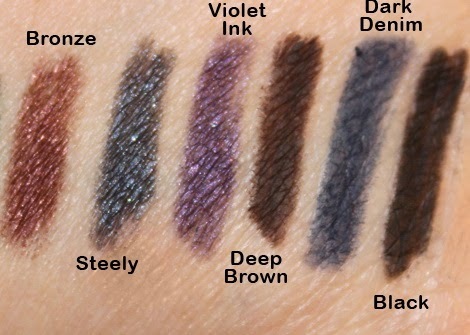 Smooth application and great pigments .Very pretty for spring and summer.Eyeliners are waterproof, smudge-proof, fade resistant and super creamy so they glide on without effort.Here are the swatches of the rest of eyeliners.Deep brown, Dark Denim and Black are completely matte and Bronze,Steely and Violet Ink have a slightly shimmery texture that attracts light. Getting a beautiful eye look is simple when you know a few secrets that makeup artists use to create a gorgeous look.To get started, consider choosing eye shadows that work with your skin tone and eye color. Have fun playing with different colors to find your favorites. And then learn the application tips that best enhance your eye shape . When choosing eye shadows that bring out the color of your eyes, pick shades that either complement or contrast your irises. Are you in a fun,daring mood or maybe you want to opt for a sexier style or a foxy cat eye? Mary Kay seems to have an eyeliner for any of your moods, eyeliners that don't smudge or disappear, but they also don't last longer than you need them to, as they are easily removed with eye makeup remover.I am happy I could try them on! Deep Brown eyeliner and Give Dreams lipstick, both Mary Kay.Simple, neutral day look, make-up perfect for a day at the office and not only . For more information about Mary Kay Company and their products you can visit online the official site www.marykay.com from where you can download an eCatalog and find a consultant locator. I would love to know if you experienced any Mary Kay beauty products, make-up or skin care. Just share your opinion in the comments section ! I have received the lovely Mary Kay products for free, thanks to Sabine Maas,Star Beauty Consultant at Mary Kay in Holland. Ce faine sunt pozele...iti sta super cu verde la ochi! Eu am avut niste lacuri de la Mary Kay, dar de mult si primite de la cineva care locuia in Germania, mi-au placut la nebunie, insa nu aveam acces la ele; nu am vazut brandul nici aici in Bruxelles :(...tu gasesti produsele in ICI Paris XXL sau Sephora sau Douglas? Nu se vand in magazine, doar prin reprezentantii lor oficiali. Eu cunosc un beauty consultant aici in Olanda, daca vrei iti dau emailul ei sa vorbesti cu ea.De vara trecuta Sephora nici nu mai exista la noi, tu mai ai in Belgia ? Deci sa inteleg ca Sephora nu mai exista absolut deloc in Benelux.